So this school year I had great and amazing plans to do awesome themed preschool activities with my two little girls. 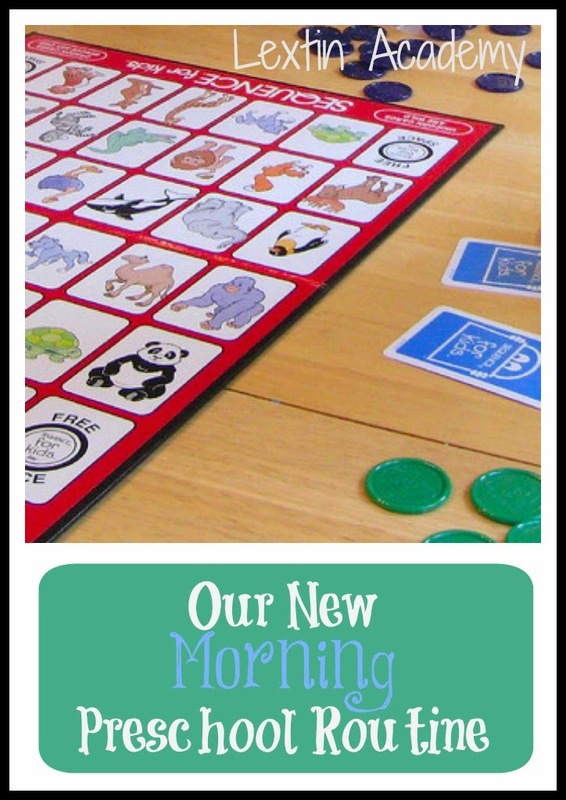 I was going to do fun printables, sensory tubs, and themed games with them for a short time each day. Well, life happened and I got tired of searching Pinterest for new ideas and I didn’t feel like cutting things out, laminating them, and pulling together items for sensory bins. Confession: I just got tired and lazy. I didn’t want to do preschool things. Let’s be honest – sometimes those preschool games get boring. Sometimes you don’t want to cut out more paper and sometimes you don’t want to scour the internet for new ideas. I quit on preschool this year! And it made me feel awful…. I instituted a short game time every morning after breakfast. Once breakfast was finished the kids ran upstairs to brush teeth and make beds while I finished up dishes. Then they were in charge of choosing a game (one that was appropriate for all of us to play together. In other words, NOT Monopoly or Ticket to Ride). After they agreed on a game (or fought over the game choice and then I made the final decision…), they were in charge of setting it up to play. By that time, I was upstairs and ready to begin. Then it was time to play our game together for 30 minutes. It became the perfect start to our homeschool day and was a fun time with the preschoolers because we played games that allowed them to fully participate. I wasn’t an amazing preschool teacher this year but we did have lots of fun together and learned valuable lessons about taking turns and being a gracious even when you lose. Maybe next year I can motivate myself to participate in preschool pursuits again. And if not, then we’ll just buy some new games!